It comes with Handmade Leather Pouch. Knives have been present in our daily lives since ages and they play different kind of roles in our day to day activities. From our kitchen to our workplaces to being a symbol of valour and social stature, knives and blades have been in circulation since quite a lot of time. Different knives are used for different purposes. You will find single blade knives, folding knives, small knives, daggers and what not. 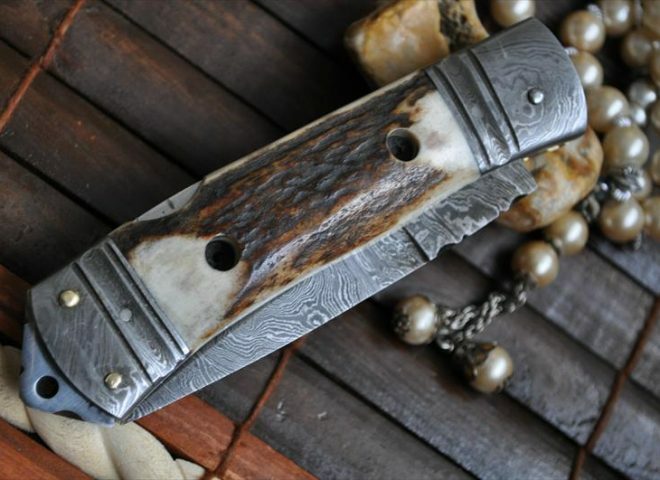 One of the most intriguing kind of knife is the deer antler handle folding knife. 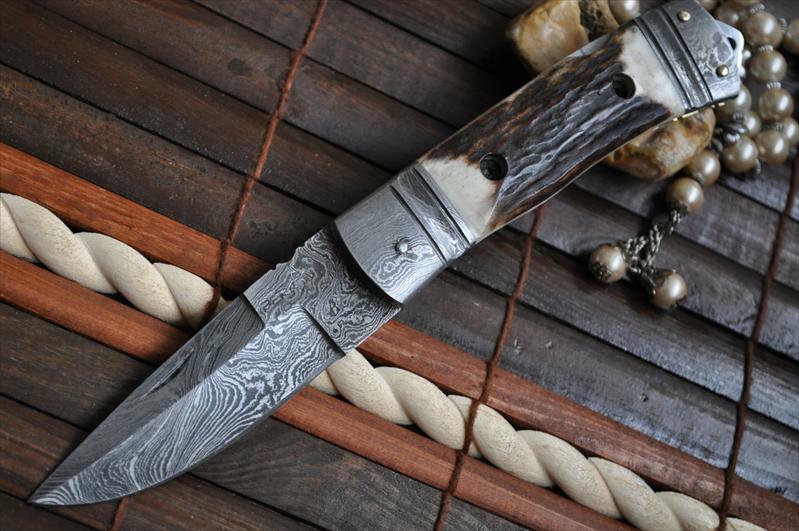 Perkins offers one such knife in Damascus steel and is one of a kind owing to the rare deer handle. 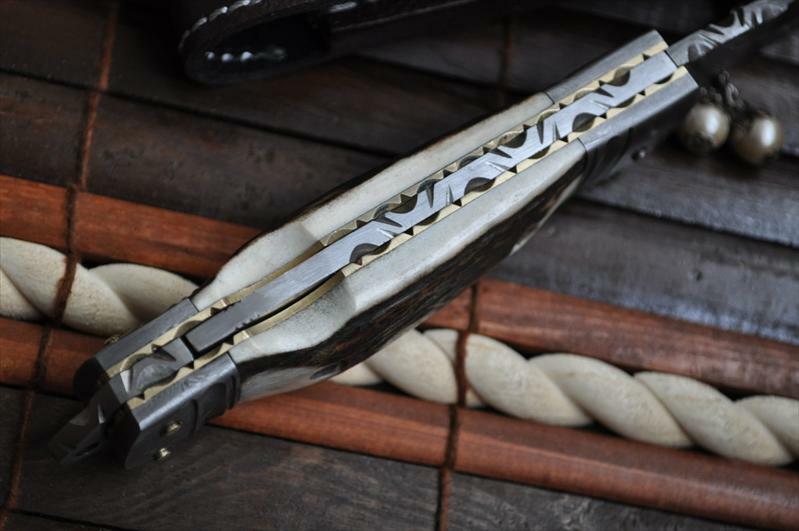 If you are interested in buying something that is exquisite and antique, then go for this custom knife. Folding knives of various kinds, made of different kind of steels and having handles of materials of variety are not a rare sight. 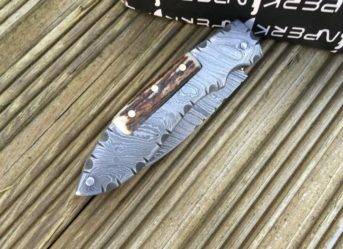 But there are a few types of folding knives which are not just rare and expensive but also are no less than works of art. If you are a collector of knives, you must be aware of the deer antler knife handles that come with a lot of knives. 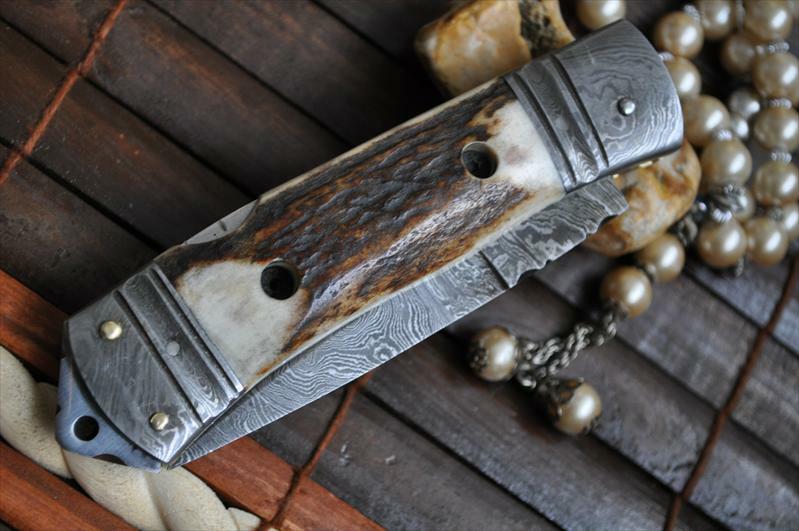 Deer antler folding knives that are authentic are hard to find due to the scarcity of the material which is the body part of an animal. Lately there has been a lot of government interference and the legal barriers that have been put on hunting has made the availability even more difficult. 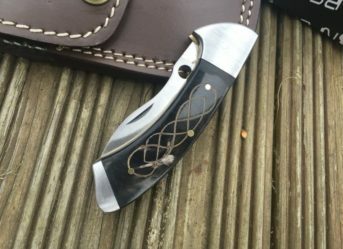 If you are a collector of artistic knives and someone who keeps a knowledge of knives and blades that are of artistic value, then you will definitely understand the value of a pocket knife which has a deer antler handle. 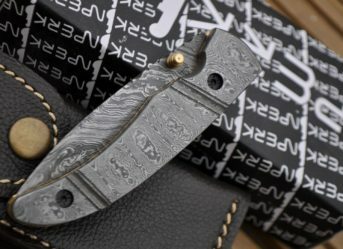 These knives are not just scarce and expensive but are also nothing less than a work of art. Generally the material used as a handle in these knives is the sambar stag found in India but due to the recent policies which criminalise the hunting of this animal, has made these knives even more rare. 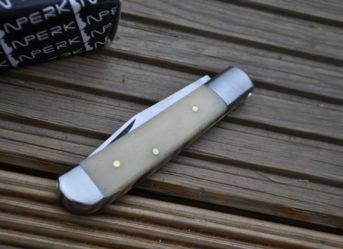 But if you want to buy authentic deer antler pocket knives, you can check the custom Damascus deer antler knife that is made by Perkins.